A few weeks back I have covered my first Content Syndication Guide, which is very much liked by my all readers. 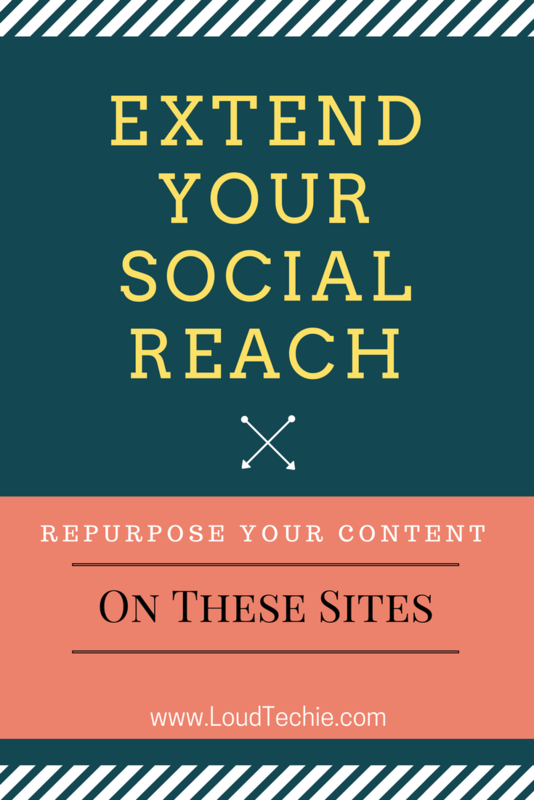 In my previous guide, I shared my research on best places to repurpose your content. If you are not aware of the process to repurpose your content you may like to read my previous guide. Today, in this article, I am going to discuss on the top social media networks for repurposing your content, but first, let’s talk about why it’s a good idea. Repurposing old content in different formats like podcasts, video or infographic can help you reach a new audience. For example, some of your audiences want to read text, while others prefer video. Some might even be visually oriented and prefer an Infographic. Repurposing your old content allows you to share popular content months later and remind viewers why they liked it in the first place. Repurposing your old content also ensures that people who missed it the first time around can see it again. Now that you know the importance of repurposing content, let us start discussing the top social media networks to repurpose your content and give a stylish makeover. 1. Quora - Ask Questions and Get Answers from Real People! 2. Google+ – The Best Platform for Growing Your Author Rank Online! 3. Flipboard - Take Your Content Strategy from Good to Great! 5. LinkedIn Groups - Place for Professionals in the Same Industry! 6. Ampower – Created to Empower and Inspire You! Quora is the best platform where users ask questions and get answers from real people! The best way to use Quora is: Find a question ideally one with several upvotes, and then answer the question while including a link to your blog post. By doing this, you will get more traffic from those reading your answer and also you’re establishing yourself as a leader in engaging with community members. You can also respond to questions that pertain to your original content and include a link back to your original post. When you post a link to an article on your site, you are exposing it to millions of people using Google+. You are definitely exposing it to people in your circles. The more people you have in your circles, the more people will see your content published on the social network. The more time you spend on Google+, the bigger your circles will grow. Just continue to post quality content and engage with people, and you’ll turn Google+ into a successful marketing campaign. Flipboard is an internet treasure trove which offers a great way to use creative ideas for your brand’s projects and overall content marketing strategy. Collect the best evergreen content for your niche, both yours and other great content rummaging around the web to create an amazing collection of content. 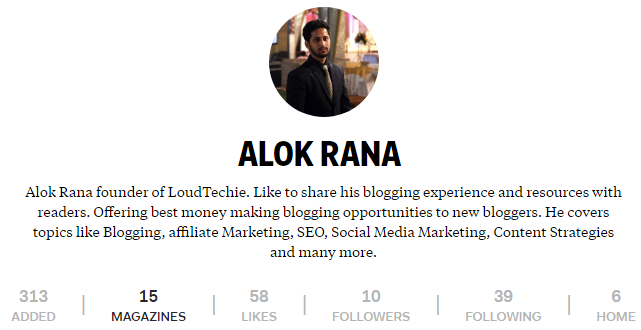 You can also read our Flipboard Guide: How some bloggers are using Flipboard magazine to drive huge to their blog. Flipboard converts the content to be repurposed into a beautiful magazine! This will attract readers and makes them interesting to read on a smartphone or tablet. By creating an eye-catching magazine with fresh, relevant content, you’ll gain more attention for targeted audience. Do you hear about LinkedIn Pulse Article? LinkedIn Pulse is a way to brand yourself and your company as an authority in your field. To repurpose your content as LinkedIn pulse article, all you need to do is: From your dashboard, click “write an article” Add your headline and copy and paste the best information from your LinkedIn posts into the body. Add any needed subheadings and publish. Any posts you publish on LinkedIn are tied to your professional LinkedIn profile and show up near the top of your profile. This means your insights are highlighted when someone views your LinkedIn profile. This adds more weightage to your profile and also makes your profile looks more authenticate and credible. LinkedIn Groups provides a place for professionals in the same industry or connect brands with their audience and often can generate leads for the brand and community members alike. LinkedIn users can create a group in just a matter of minutes. But it is important to lay a solid foundation to help ensure the group’s success. Contribute to the group by starting a new discussion or engaging in existing ones. Via discussions, you can share your views and ideas by posting your content. Include a question or observation and also providing links to articles or posts should provide some context. Ampower is recently launched social media platform where you can find the best articles, get answers from experts and join communities all within the topics you select. It allows you to ask questions and submit an article. You can also review a person by simply entering a username, email or select from your contact list. You can repurpose your content here by slightly tweaking the content (without writing from scratch). There are categorized walls, your submitted articles will be auto displayed on best suited walls. Tumblr take a full advantage when it comes to displaying visual content more than textual. Turn your blog post into a stunning infographic and syndicate your content in Tumblr. Presenting the blog posts in pictorial format makes the complex information eye catching, shareable and easily digestible. They can help boost engagement on your social media profiles, make your presentations more interesting and transform your blog content to have greater impact. StumbleUpon is an effective tool that allows you to promote your content on the content discovery platform. 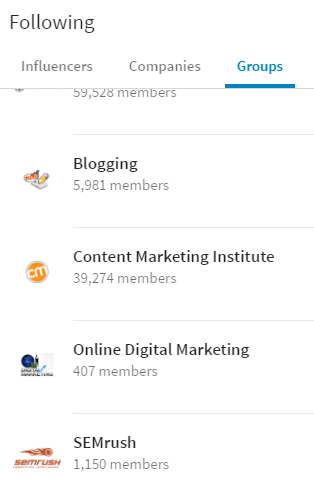 When users sign up for the platform, select which topics they are interested in, and post their content. By this way, it can be delivered to the right people. You can also have a look at my previously written detailed guide on StumbleUpon including step-by-step guide to use StumbleUpon to drive massive traffic to your blog. Repurposing your content in StumbleUpon is the great way to get lots of traffic in a short span of time. Hope now you understand how one story can lead to dozens of pieces of content. Repurposing your content on social media profiles is the best way to expose your interesting content more eyes and new audiences. Get ready to start digging into your archives to find the evergreen interesting content and start repurposing. Do you have any other methods of repurposing content? Share your ideas in the comments! Indeed a great list of social media sites. All these are full of active people, specially Quora and StumbleUpon & I can say that because I get a lot of traffic form these two sources. Although I am still learning techniques to get maximum out of these content syndication sites, which I hope I will in next few months. By the way Thanks for the List Alok. Hey Jelina, Yes almost all the sites listed here are a good source of traffic if used in a good way. I don’t use Quora much but I quite active in that too. But yes StumbleUpon direct a good traffic to my site from a long time. Keep visited for more updates as I have 8 more updates on this same topic. Once again thanks for the amazing article. This article is equipped with super tricks to get traffic from social media sites like Quora & StumbleUpon. Good work, keep it up. Good to see you again. And thanks for your feedback about it. Keep visiting for more articles on Content Repurposing. Great write up. I am alreday using most of these networks, but never heard about Ampower. It seems to be promising and will try it. Ampower is recently launched site and as you can see it’s doing quite well. Almost all top blogs are syndicating their posts using Ampower and so do I. You should try this out. But as it is new in the industry there are not many tips on “how to use Ampower” so I suggest you to do the quality posting only. And thanks for your feedback. Your blog is so precious and useful for the people who need this service. As you have used your best skills and knowledge on the blog. I really appreciate your work because this shows the best directions. The words used in the blog is so simple and understandable. Attractive blog motivates me to keep visiting regularly on your published blog. As I have also published many blogs for the useful information, so visit my blog and suggest me to do improvements in my blogs. I will be very thankful to you. ALL THESE SITES ARE GREAT for repurposing the content your article gave good information about these sites. Glad you like it Drasti. Keep visiting for more updates. Stay tuned for more updates on this same topic. You will like that even more.